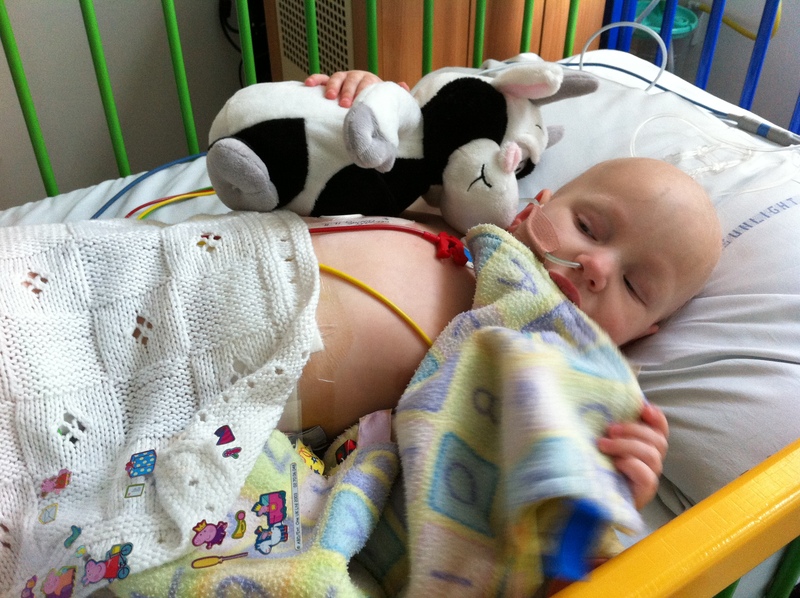 Sophie Roberts' Story | A brave little girl's battle against liver cancer. Thank you for raising £350,000 for life-saving treatment. Thanks to everyone’s amazing support Sophie has been in remission for 2 years! Update 05/08/2015: Sophie continues to do great and never ceases to amaze us every day as she grows up way too quickly! 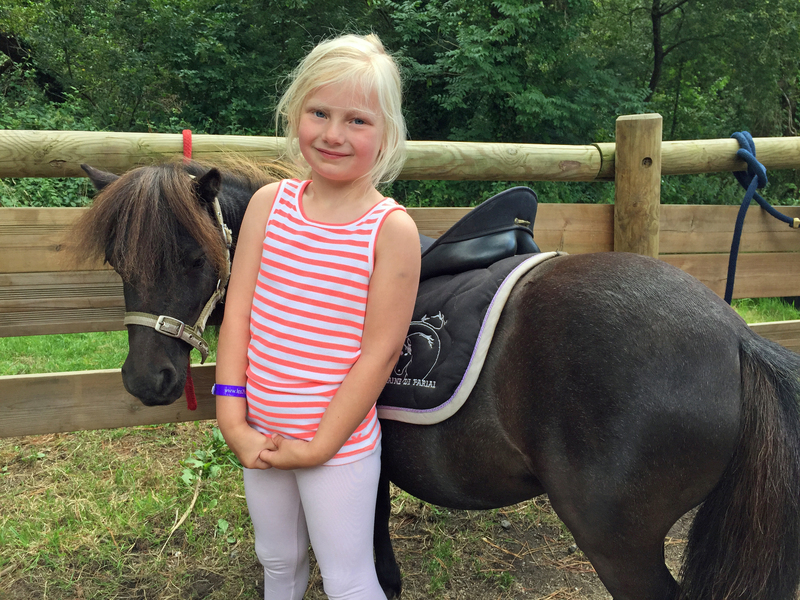 She’s now finished year R at school and had a great holiday in France last week where she discovered pony riding! 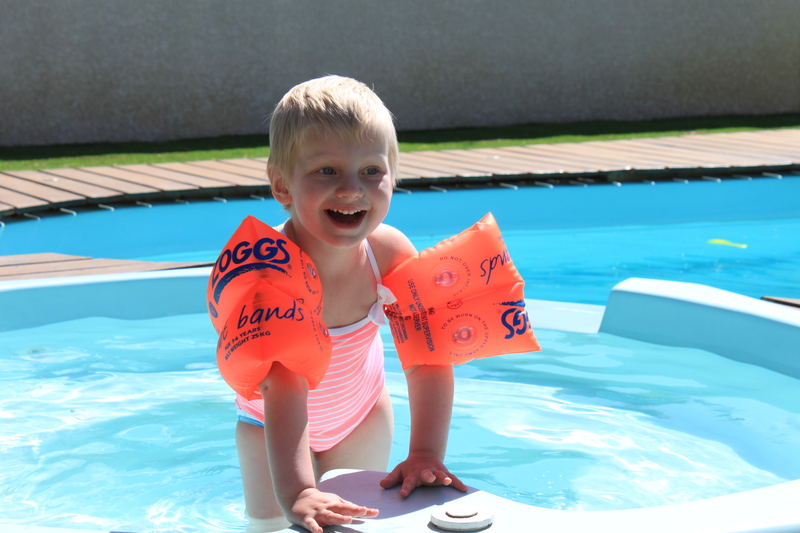 Update 22/02/2015: We received some fantastic news mid-January, Sophie has now officially been in remission for two years! Sophie had a 75% chance of relapse so this is an amazing milestone to reach and we are, of course, ecstatic and incredibly proud of our little lady. We are feeling very thankful and incredibly lucky! Thank you once again to everyone who helped this become a reality. Update 22/05/2014: Sophie’s running a mile in Westminster this weekend raising money for Frimley Park hospital! If you’d like to sponsor here you can read more about the run here. Update 04/04/2014: Two years ago Sophie relapsed but the amazing support she received from everyone, coupled with her incredible strength, means she’s now a very fit and well little princess! 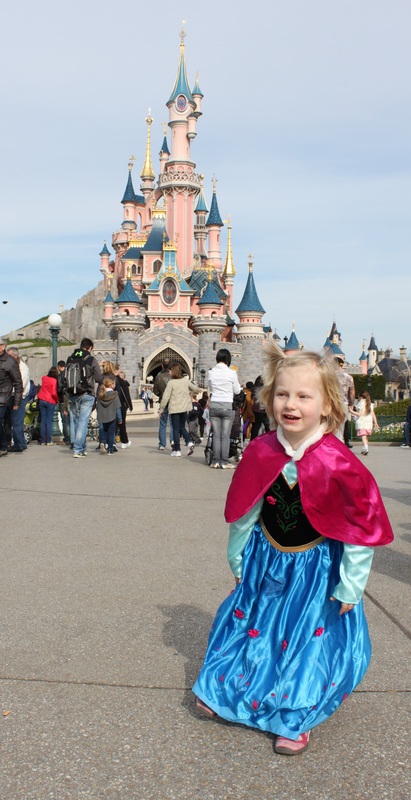 And, thanks to the very kind generosity of the Rays of Sunshine charity she’s just been on a magical holiday to meet the other princesses at Disneyland in Paris. Hope you like the photos! Update 10/07/2013: Sophie is doing great! She’s so full of life and energy, so healthy and active, that it’s easy to forget how different things were a year ago. Her AFP is still consistently under 2 and she’s just returned back from her first holiday abroad where she had an amazing time with her younger brother James and Grandma and Grandpa (or Grampa-Grampa to her). Here’s a photo of Sophie in the pool. Thank you again so much for all you did to help last year! Update 12/05/2013: This time last year we were told Sophie had relapsed and were asked if we wanted to put her in palliative care. After that devastating day it’s been an incredible journey and with so much amazing support from you all she’s now 3 months in remission, back at nursery and due to have her Hickman Line removed on Tuesday so she can go swimming again. Thank you so much. Update 29/01/2013: Great News! 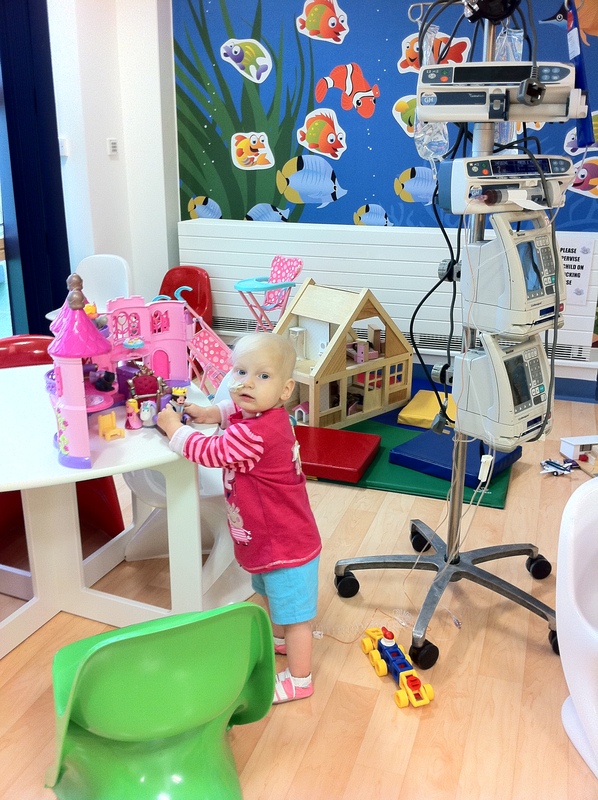 After 18 months of treatment comprising of 18 rounds of chemotherapy and 3 major operations Sophie is now stopping treatment. Thanks so much everyone for what you did, you can read more here. Check out the amazing charity single and video here! Update 07/10/12: Read all about how Sophie’s been doing in the 6 weeks since she returned from New York here. Update 18/07/12: We’re extremely disappointed to say Sophie’s surgery is being re-planned, with potential cost implications, and has been delayed until August 9th. In light of this we’ve raised the fundraising target to £350,000 to try to cater for the worst case that the re-planned surgery will now cost more and that she would need an air ambulance home. You can read the full details of what’s happened over the last few days here. Please watch this wonderful video which tells Sophie’s story. By Kate Tweed, Andy Humphreys and Tracey-Ann Obermann courtesy of AMV BBDO. Our amazing friends at ACM released a charity single for Sophie, ‘Shout it from the Rooftops’, which you can purchase here http://sophierobertsstory.bandcamp.com/. 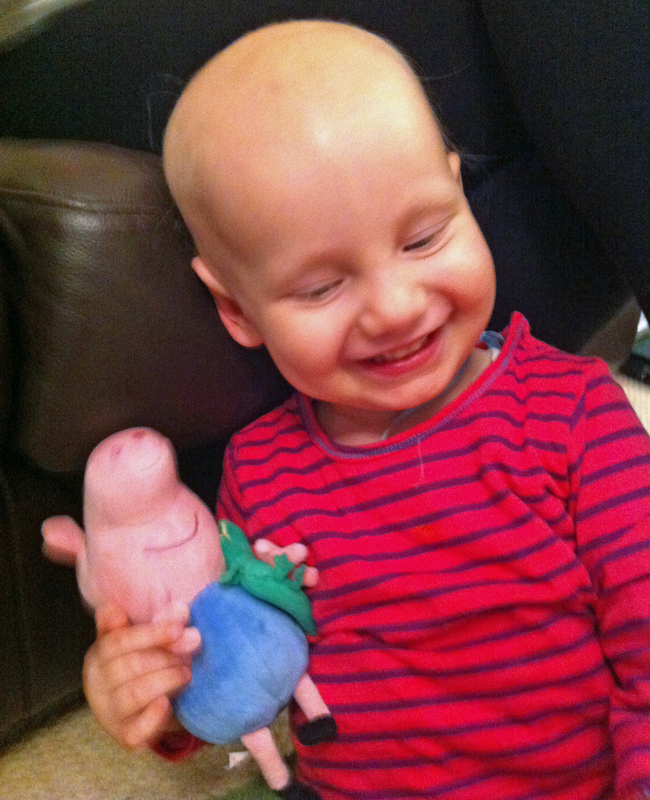 Update 29/06/2012: The support we have received to raise money for Sophie’s treatment has been truly overwhelming. Our gorgeous daughter Sophie was diagnosed with liver cancer, which had spread to the lungs, in June 2011. This is a cancer that affects only a few children each year. The prognosis for children with this type of cancer when first diagnosed is extremely poor at just 30%. 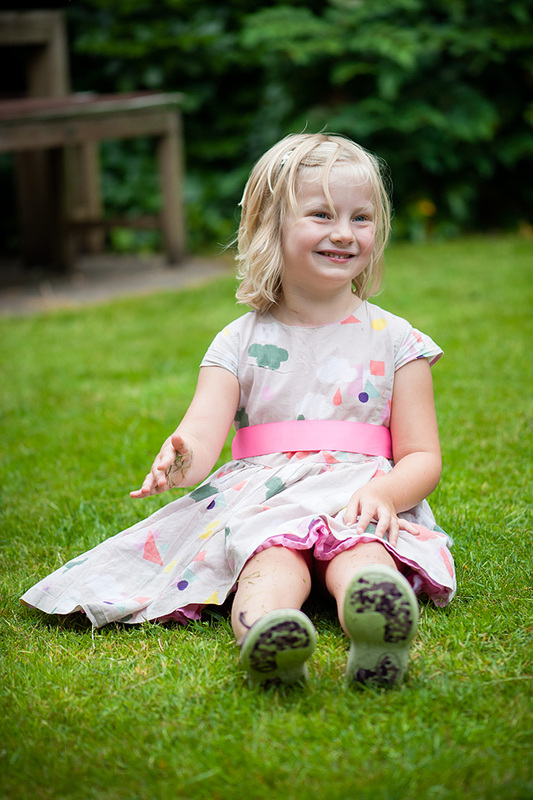 Sophie bravely endured 3 rounds of traumatic chemotherapy before having liver surgery on 16th November 2011 when 25% of her liver and the entire primary tumour was removed. She then started a further 4 rounds of chemotherapy to clear the remaining tumours in her lungs and went into remission in March 2012. By this happy time she’d spent over 50 nights in hospital and a ¼ of her life suffering from a life threatening illness. Unfortunately, our happiness and joy was short lived as the cancer returned aggressively throughout her lungs in early May. Treatment options for this kind of relapse are very limited, and she is currently being treated with new chemotherapy to control the disease. Her condition is so rare that the doctors cannot give us a prognosis. We are documenting our brave girl’s ongoing fight and treatment, to raise £230,000 to help to pay for surgery and to raise awareness of this awful rare disease. The best treatment option for Sophie is surgery; two UK surgery teams have refused to operate but luckily a team at Sloan-Kettering in New York has agreed to offer her life saving surgery. This surgery has to be privately funded by Sophie’s family, so we are asking for help with raising this money. We have already lost several very close family and friends to cancer over the years and will do whatever it takes to ensure we do not lose anymore. Please donate through the JustGiving link on the right and you’ll keep us fighting and hoping. You can read Sophie’s story in full here and on the Facebook page. Please be sure to follow the fundraising progress on the blog and Twitter. I have plenty of ideas Andrew I will start sorting out a fund raiser tomorroDo you mind publicity because what I have in mind will involve the local press in order to get a big impact. Let me know mate. Mark. Rosie is dealing with all prizes for a big raffle we are going to have. Solidarity has no border and when a friend of mine (Ruth’s former collegue) contacted me this morning, I immediatly set up a foundraising action here in France, through my charity organisation “Les Bagouz’ à Manon” ! I know how hard are the days you are living and I cross fingers to make Sophie’s intervention in the US possible. With all good wishes and hopes. I make jewellery as a hobby (see http://www.puttingonthecharms.co.uk) and if I can send you anything to use as a raffle prize please let me know. I will be delighted to help in any way I can. Hi. Just watched your story on the local news. As a survivor of throat cancer I want to wish you all the best. I really admire all the work that you are doing to save your daughters life. Sophie should be given every chance. She deserves that. I have made a small contribution on your Just Giving website. We would like to give a donation but need an address as we would like to send it by post as we do nothing on the computer. hope all goes well for Sophie. I’m 15 years old. I will show this to my school and raise some awareness and money for sophie. Please send me an account number which we can donate money in it. Tomorrow I will let my web master put a banner on oue web site directed to sophie story in case someone would like to help. I will also put a massage on oue face book page with the same info. Let ushope with God’s grace that we c ould help as quick as we can. God bless her. Hi, thank you so much. You can either use JustGiving or the bank account details on this page https://sophierobertsstory.com/fundraising/. please accept our small donation to help Sophie to get well again from two loving parents who understand the plight of Sophie’s parents. We will pray for her. I would like to try and help by raising as much as I can by collecting money at work. I’m a doorman and will collect on the door over the weekend. How do I get the money to you? Hi, that’s very kind. You can either use JustGiving or the bank account details on this page https://sophierobertsstory.com/fundraising/. Thanks! Thanks that would great. All donations can go straight to sophies JustGiving page which is linked on here. The easiest way would be to pay the money into your own account and donate directly yourself. Brilliant! You’ve done it!! I’m genuinely delighted for you and you should feel justifiably proud of this achievement. I’m sure that little Sophie will soon be under the care she needs and I’m sure she’ll continue to be the wonderful little fighter that she clearly is. My thoughts will be with you and I will follow your progress. Please accept my very best wishes for all of the family. Hi there, we saw your appeal on the local news and would like to donate some money but would like to do it through CAF – do you know how we can do this? Hi, the bank account details are on this page – https://sophierobertsstory.com/fundraising/. Many thanks! Hi, that’s very kind indeed. Please email helen@sophierobertsstory.com to pass on the details and we’ll add this to a raffle or auction. Thanks! After seeing your story on the BBC the other day, I’ve been telling everyone I can find, the hopes and prayers of the Oxford and Swindon Geeks are with you! We’ll try as hard as we can to help you! I hope Sophie’s surgery goes really well. How is Sophie, has she had her surgery?